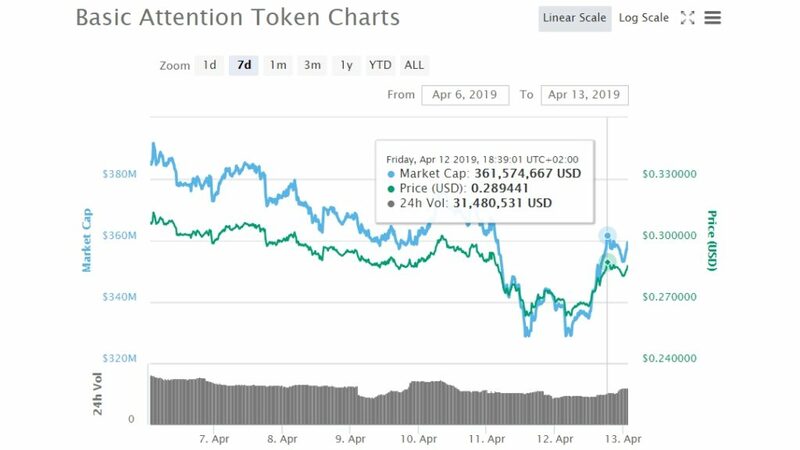 While being very famous throughout the crypto-community despite lower in rank (25th by market capitalization) BAT is leading today against the US Dollar with 6.25% increase in the last 24-hours after BTC/USD regained its foothold against the bears retesting the $5,000.00 support. The Basic Attention Token, which transacts the token transfers in the via Ethereum’s blockchain, made its debut in the cryptocurrency industry with the target of resolving present marketing and advertising issues with which individuals have to deal with in the particular industry. Being in the market for a long time now and its latest spotlight-taking developments, the coin can not go unnoticed by many trader’s and investors’ radar for opportunities to jump in. Just a month ago, the team behind the advertising-targeting coin signed down a partnership with Tap Network which made it so that its owners can redeem on choice their tokens for rewards on over 250k brands with giants like Apple, Uber and Starbucks. Tap Network – Blockchain concentrated advertising platform. The newest listings that the community supporting BAT welcomed were non other than Coinbase and Circle Invest. Music Lyric: Pretty! This has been a really wonderful post. Many thanks for supplying this information.